OnLive’s Online, But What About Gaikai? Samsung is jumping in the gaming fray with a cloud-based service built into its high-end 7000 series HDTVs. The back-end infrastructure for the service will be performed by Gaikai, which provides cloud-based gaming services for a number of companies, including Electronic Arts and LG. 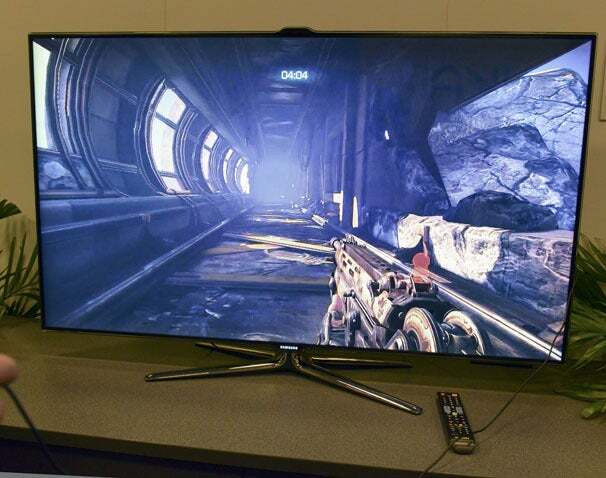 Bulletstorm being run on a Series 7000 TV. The service is currently entering beta testing. At launch, Samsung’s cloud gaming service will support wired and wireless gamepad controllers from several manufacturers. Keyboard and mouse support is being considered, but won’t be available at launch. Samsung’s public relations director, Ethan Rasiel, said only 2012 models of the company’s series 7000 TVs would offer the service because those units have dual-core processors offering the performance needed to deliver a good gaming experience. While the games are rendered on cloud-based servers and streamed to the HDTV as a video stream, the system also needs to react to game controller inputs in near real time for optimal gaming. Gaikai’s cofounder and chief executive, Dave Perry, delivered an impassioned message about making games more accessible, noting that the barriers to entry to play even demos of games is often so high that potential customers lose interest. Gaikai’s goal is to offer full game access for short periods of time, to give potential buyers a taste. Perry offered survey statistics noting that game buyers preferred actual hands-on through demos over any other form of advertising when making buying decisions. Perry demonstrated several games running on a Series 7000 TV, including Bulletstorm and World of Warcraft. Gaikai only streams PC game titles, including those console games that have been ported to the PC. The service will enter beta testing later this summer. Full rollout plans and pricing haven’t been set.